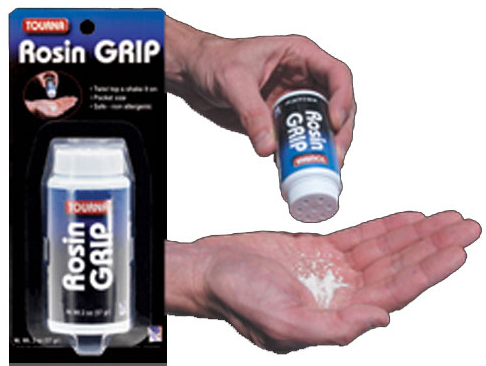 Professional quality rosin now available in a shaker top bottle. Simply twist the top and shake on your hands. The cleanest way to use rosin. Rosin is excellent for drying your hands to gain superb control of your racquet.